Article publicat a la Revista de la Construcción (2014 13-1 ISSN paper: 0717-7925 ISSN electrònic: 0718-915X), disponible en pdf en aquest enllaç. The representation of the plan of the roof in heritage buildings often raises the problem of direct measurement, since the points are not accessible. We currently have a wide range of indirect measurement techniques that solve this problem, and enable data to be captured on a massive scale with high levels of accuracy. 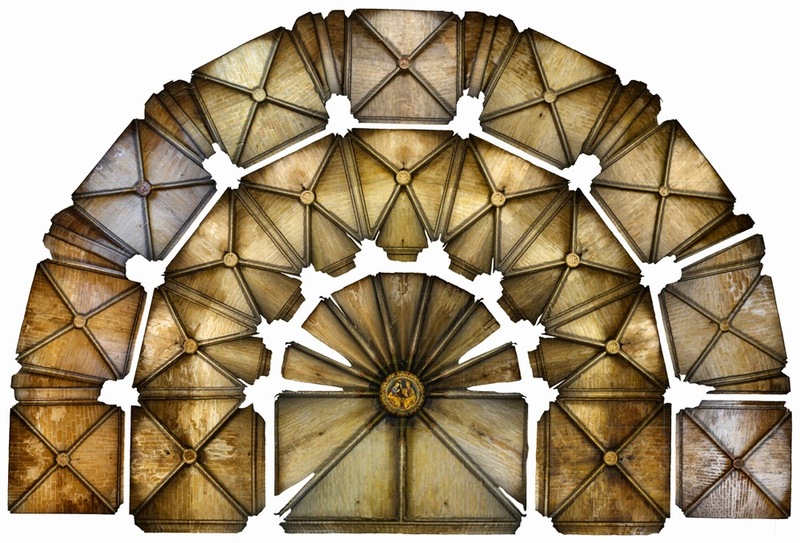 The article discusses the use of Close Range Photogrammetry for the constructive analysis of gothic vaults in Tortosa Cathedral. The methodology and results of the campaign are explained below, which used technological resources that are available to any professional. The computerized processing of the 3D model generated makes possible to identify and analyze the geometric anomalies in the masonry vaults. Thereby it is obtained an unparalleled basis that enables us to undertake a detailed study of the vaulting, which was previously impossible. The geometrical deviation patterns can be related with the historical data available about the construction process of the gothic apse, fulfilling the lack of information from direct sources of some periods.